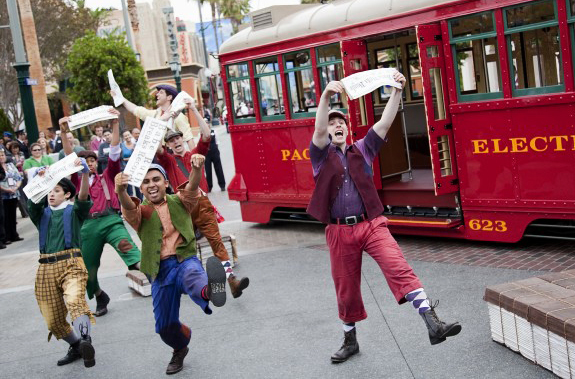 It looks like Disneyland Resort has hit it out of the park with the recent changes to Disney’s California Adventure. The much anticipated Cars Land and Buena Vista Street opened to guests today and the buzz on the internet is that the new additions far exceed all expectations. In a colorful grand reopening ceremony hosted by Bob Iger, chairman and chief executive officer of The Walt Disney Company, along with his pal Mickey Mouse, Disney California Adventure Park welcomed guests this morning to the premieres of Cars Land and Buena Vista Street, home to the Carthay Circle Theatre. The ceremony celebrated more than 20 new attractions and shows that have been added to the Disneyland Resort during a five-year expansion. Four new attractions have been added to Disney California Adventure – Radiator Springs Racers, Luigi’s Flying Tires and Mater’s Junkyard Jamboree in Cars Land and the Red Car Trolley, which traverses the length of Buena Vista Street – along with nine new shops, eight new food locations including Carthay Circle Restaurant and Lounge, and more than a dozen new entertainment experiences such as the “Red Car News Boys,” who performed to rave reviews from guests. The 12-acre Cars Land is a re-creation of Radiator Springs, known to fans of the Disney●Pixar movie “Cars” as “the cutest little town in Carburetor County.” Radiator Springs Racers is one of the largest and most elaborate attractions created for a Disney theme park, taking guests on a tour of the scenic Cadillac Mountain Range before their big race begins. 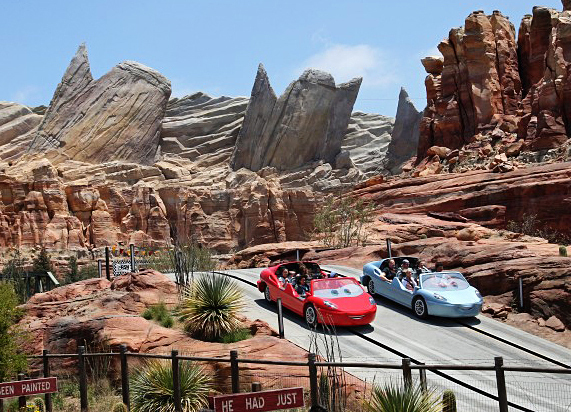 Guests who have been lucky enough to experience Radiator Springs Racers already have described it as “a EEE ticket” attraction. Guests now enter Disney California Adventure through another lively and richly detailed land, Buena Vista Street. The newly themed and designed entrance brings the spirit of Walt Disney into the park as never before, immersing guests in a locale reminiscent of Los Angeles in the 1920s. 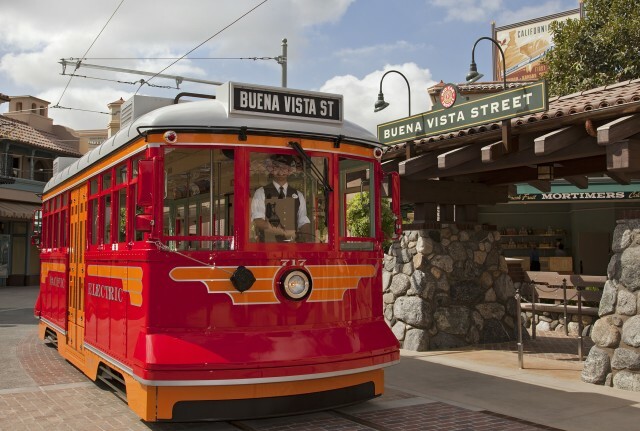 With its familiar shop names, period costumes and architecture, Buena Vista Street is inspired by the “city of dreams” Walt Disney found when he arrived by train in California. The icon of Disney California Adventure, the Carthay Circle Theatre, is a majestic building at the end of Buena Vista Street that recalls the great California movie palace where “Snow White and the Seven Dwarfs” premiered in 1937. 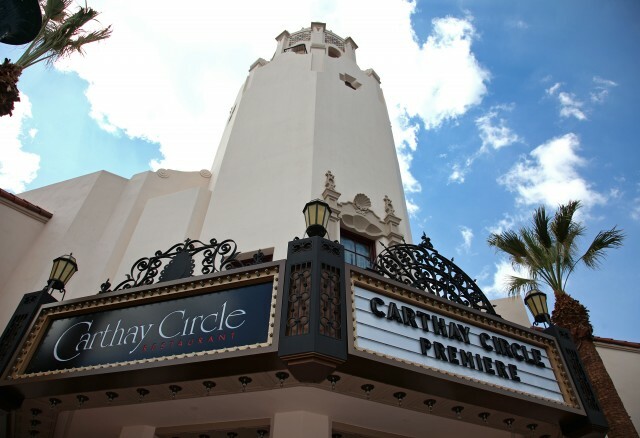 Carthay Circle Theatre, home to the Carthay Circle Restaurant and Lounge, anchors the newly designed plaza. Upstairs, guests enjoy Southern California cuisine and the ambience of a post-gala party at Carthay Circle Restaurant, while the ground floor Carthay Circle Lounge offers appetizers and bar service, along with historic photographs and exhibits. 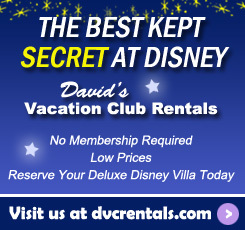 It’s an exciting time at Disneyland Resort. If you’re like me and haven’t visited the Disneyland or Disney California Adventure in awhile, it’s hard not to want to go and check out all the new stuff. Remember, you can rent points to stay at the Villas at Disney’s Grand Californian Hotel & Spa but it’s a small resort and demand is great. 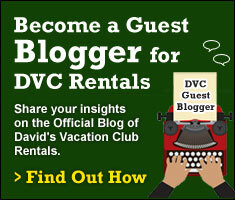 Be sure plan accordingly and request a reservation well in advance of when you want to travel.